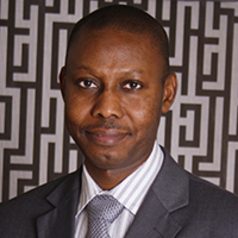 Dr Abdullahi Tasiu Abubakar is a lecturer and researcher at the City University London with extensive experience in broadcast, print and online journalism practice both in the UK and in West Africa. He obtained his PhD in Journalism and Mass Communications from the University of Westminster, London, in December 2011 with no corrections. He has worked for the BBC World Service as a correspondent and Abuja Bureau editor in Nigeria and as a producer in London. He has also worked for a few Nigerian media organisations particularly the Trust Newspapers as a news editor and lately as editor-at-large. Abdullahi had covered many major news events in Nigeria, Liberia, Sierra Leone and Cameroon. He won several journalism awards including Nigeria’s Best Newspaper Reporter of the Year Award and Nigeria Union of Journalists’ (NUJ’s) Certificate for Professional Excellence in 2004. Prior to his coming to the City University in 2013, Abdullahi was a visiting research fellow at the Africa Media Centre, University of Westminster, where he was selected as one of the outstanding early career researchers whose works were showcased by the University at the launch of its new Graduate School in 2012.